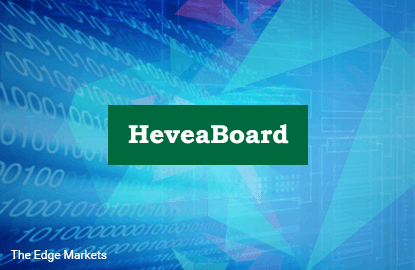 PARTICLEBOARD and ready-to-assemble furniture maker HeveaBoard (Fundamental: 2.7/3, Valuation: 1.8/3) was first recommended by InsiderAsia on November 7, 2014 at 45 sen. 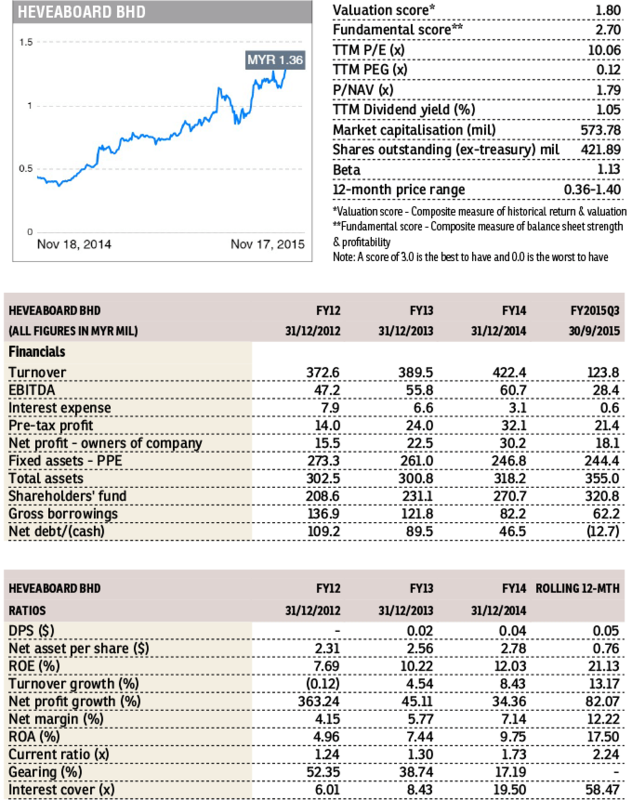 The stock jumped 8.1% to close at an all-time high of RM1.47 yesterday after posting stellar 3Q2015 results. For 3Q2015, revenue climbed 29.5% y-o-y to RM123.8 million while net profit tripled to RM18.1 million. Concurrently, the company declared a second interim dividend of 0.5 sen, which will go “ex” on November 30. For 9M2015, net profit surged 123.2% y-o-y to RM48.1 million on the back of a 14.4% increase in sales to RM351.6 million. The improved performance was attributed to higher sales, favourable sales mix, and stronger USD, despite an unrealised forex loss of RM10.2 million from the translation of its USD-denominated term loan. The Negeri Sembilan-based company generated over 90% of its sales in 2014 from overseas markets. Sales to Japan and China — its two largest export markets — grew 9.3% and 62.7%, respectively, last year.